I get a vicarious thrill from watching young Makersâ€™ eyes light up as brightly as the LEDs in the conductive dough they are working with. But that feeling is too often followed by a sense of shared frustration at the increased difficulty when they switch to a solderless breadboard.To ease the transition, I have called back to duty the springboard, a 50-year-old relic thatâ€™s difficult to find commercially these days, but is easy and cheap to make. The layout of this model is designed to mimic that of a breadboard for ease in graduating to the next level, making the world of breadboarding a much happier place for all. The number of springs you use depends on the complexity of the circuits you plan to build. The most basic design has the two 2" springs as vertical rails on the left and right sides, with two columns of the 1/2" springs running horizontally between them with two or three springs in each column. More complicated circuits might require the addition of more rows. For younger makers and beginners, space the springs so that the legs of an LED can easily span two of them (about 3/4" apart). Springs need to be closer together if the circuit calls for smaller components, such as transistors. 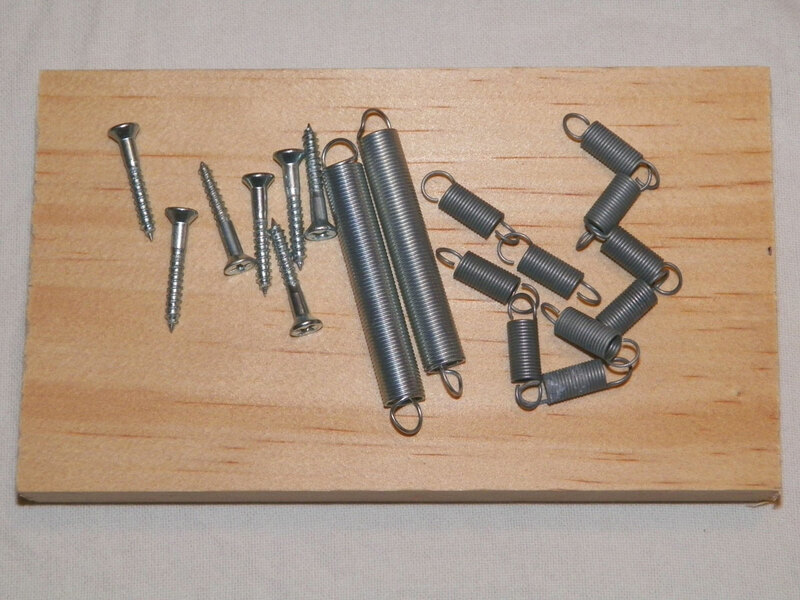 You donâ€™t want any of the springs touching each other, so smaller-headed screws or even finish nails are best for boards with closer spacing. Screw them down with your power drill. 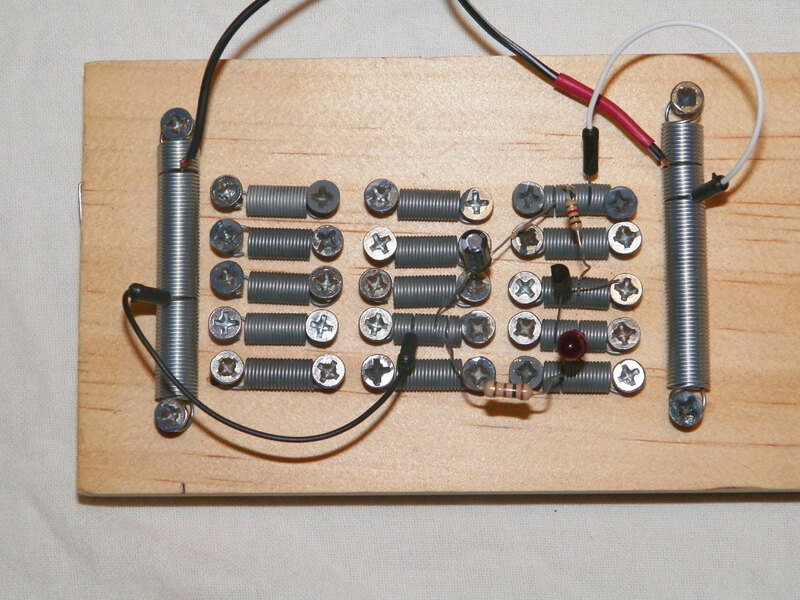 The board is powered using a battery with a snap connector or repurposed 5â€“12 volt wall wart with the tip removed and the wires stripped and tinned. Connect the positive wire to one of the 2" vertical springs by spreading the spring with a pointed object (such as the probe of a multimeter) and inserting the wire. Connect the negative wire to the other vertical spring. 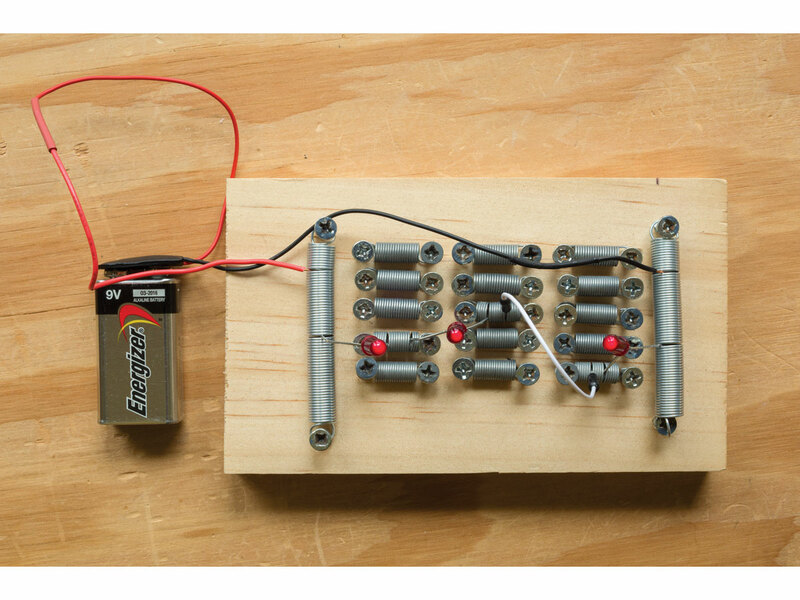 Complete the circuit by connecting individual components from spring to spring, using jumper wires when needed. In addition to expressing the connected circuit visually, this setup makes it much easier to practice using a multimeter at various locations. 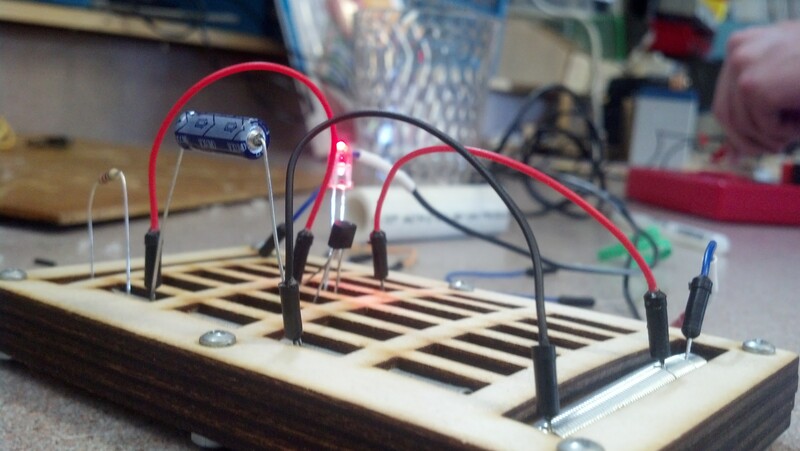 By the time students reach the limitations of the springboard, theyâ€™ll be ready to move onto a breadboard and expand their repertoire. 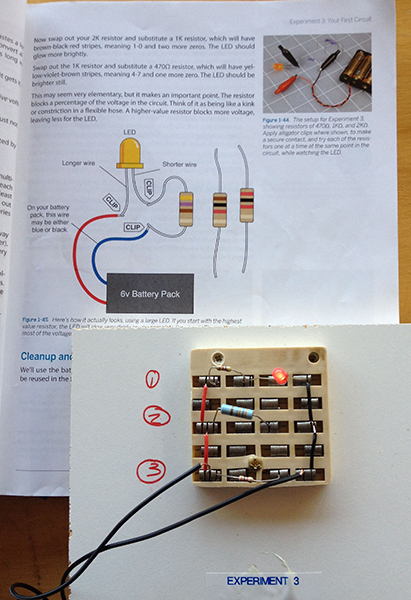 In Project Make, electronics instruction begins with guided experimentation using conductive playdough and electronic components found in the Squishy Circuits kit. 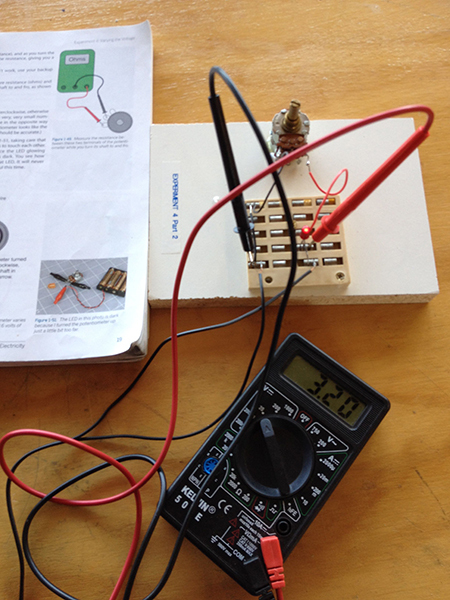 Students experience fundamental concepts such as polarity, open and closed circuits, series and parallel circuits, short circuits, switches and more using a friendly familiar model. 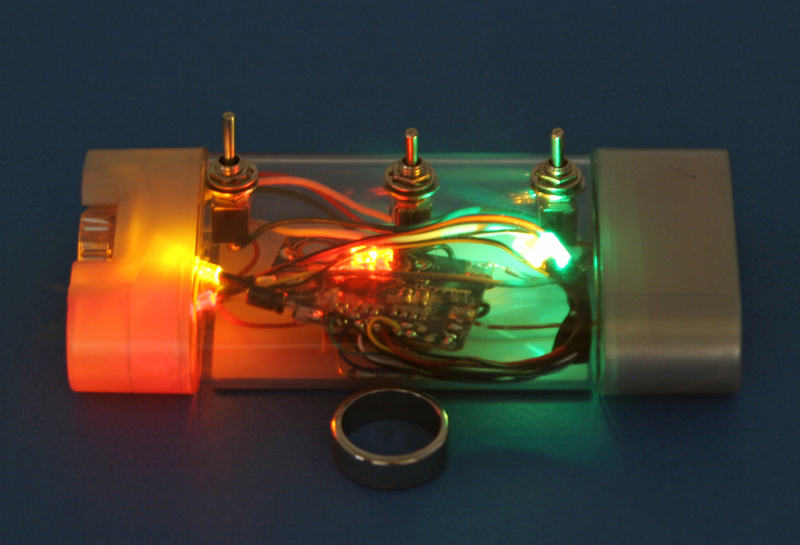 We then use Charles Prattâ€™s excellent Make: Electronics which uses on hands-on experiments as the framework for further study. Students learn the basics of multimeter usage, components are introduced as they are needed for specific experiments and a bit of history and theory (even some math!) is sprinkled throughout. 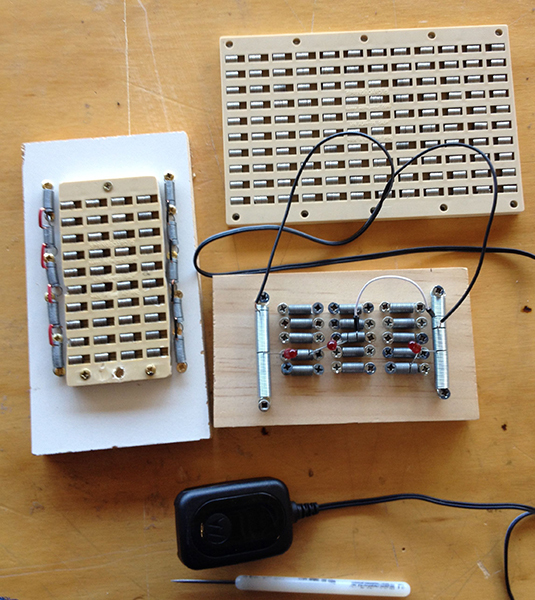 The springboard replaces jumper wires with alligator clips in the early Make: Electronics experiments. The small boards pictured for Experiment 3 and 4 are the first projects I made using a springboard and are still in use today. 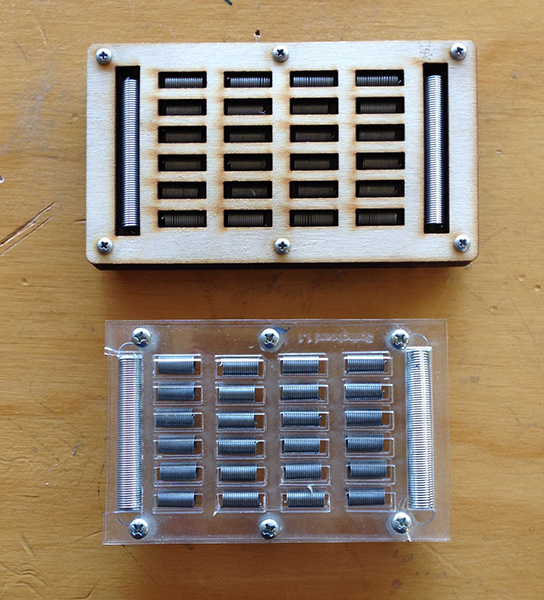 The history of how this tool made it into our curriculum and how its use has evolved is one that illustrates some of the unique aspects of a having a class centered around maker principles. Over the summer, we received a donation of old electronics parts from a retired teacher that included a number of large boards with 144 springs arranged in a 10 x 12 array. I immediately saw the benefits of these relics and thought of designing a smaller model to be made using our laser cutter. My skills werenâ€™t quite developed enough to allow me to get the job done by the time I planned to begin the lesson, so I hacked up a couple of the big boards, attached them to a piece of scrap wood using epoxy and called it version 1.0. 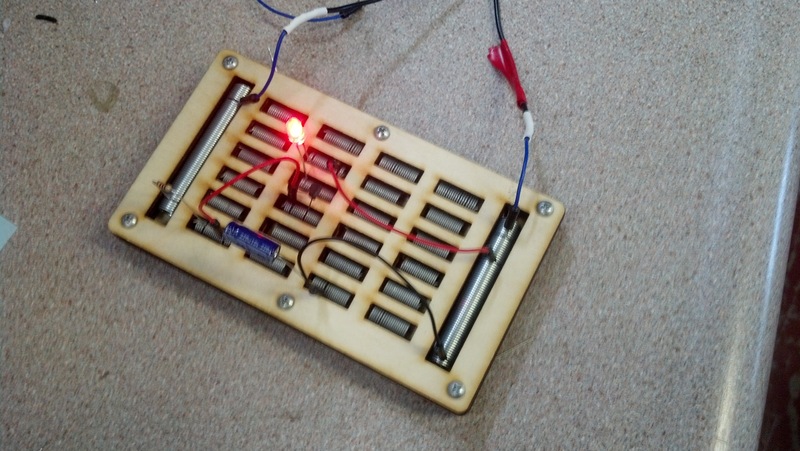 I have since made several laser cut versions (attached design file created in Inkscape using layers for the different cuts), but have come to appreciate the added value of having students make the simple boards shown in the article. Measuring and laying out the springs, combined with the use of tools ranging from handsaws to chop saws and hammers to portable drills serves as a nice introductory project with skills which transfer to other more complicated projects down the road. At the end of the lesson most are dismantled so that the parts can be used again, I keep the best one or two as examples for future classes. The most complicated projects that we usually do on a springboard are LED flashing capacitor-transistor circuits like this one from Madlab, after which they move on to modern breadboards for more complicated projects using ICs. Casey teaches math at Analy High School in Sebastopol, Calif. He joined with MAKE to create the first Project Make class.